Montreal singer-songwriter Krief is pleased to debut “Mississippi”, the second single to be taken from his upcoming fourth solo record automanic. Picking up where the grandiose first single “Life As It Happens (ft. Sam Roberts)” left off, the snappier, post-punk-infused Mississippi plays out a narrative of addiction and the subsequent fear of facing your true self. 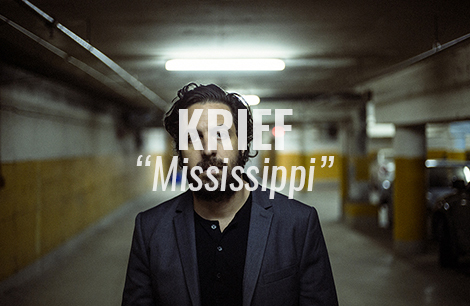 Krief summarizes “The song Mississippi is an inner dialog between a substance (the narrator), and the person addicted to the substance (Annie), the song is meant to illustrate the struggle within your own mind when confronting yourself“.